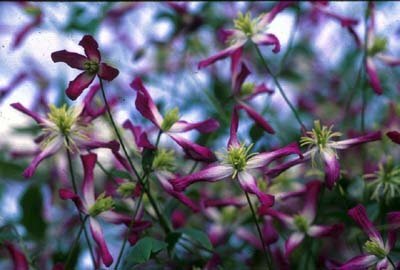 Rubromarginata Clematis: rare fragrant clematis. This splendid member of the viticella family is large and robust. It's a great choice to grow on shrubs or on a sturdy obelisk. Its long bloom season and sparkly flowers are a great asset!